Did you know that oysters and mussels can form a pearl in every colour that occurs in the Mother of Pearl on the inside of their shells? 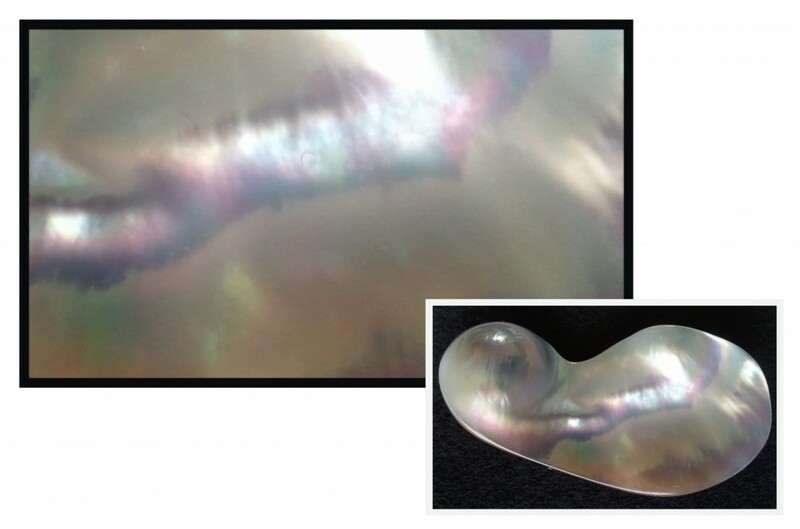 This picture shows a beautiful example of a piece of Mother of Pearl. Take a close look: It is quite amazing how many colours, subtle shades and overtones can be distinguished!